Cufflinks Inc. 6-piece collar stay set. 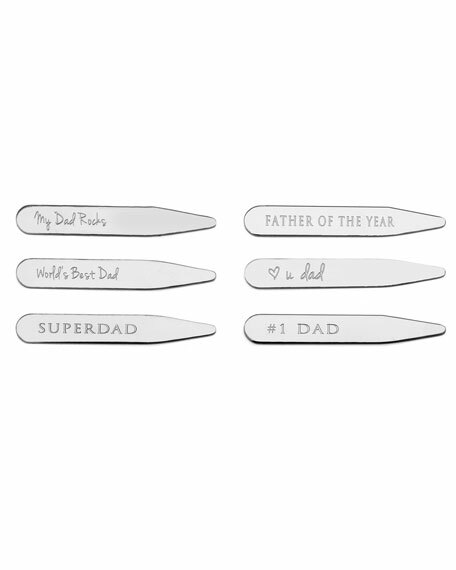 Father's Day inspired engraved fronts. As one might expect, Cufflinks Inc. is all about cuff links. 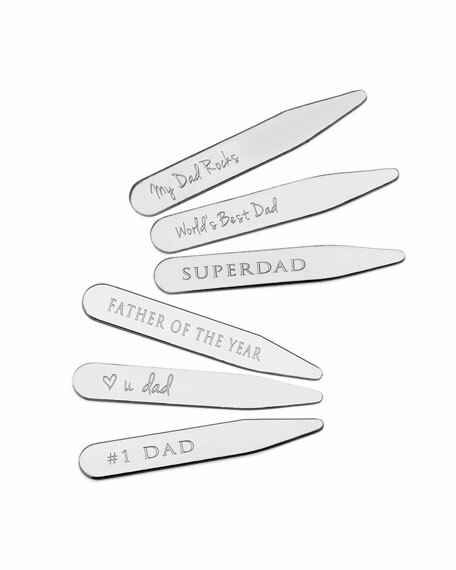 The witty line creates trend-setting classics as well as themed designs featuring everything from vintage comic book heroes to sports teams' logos and mascots. Cufflinks Inc. makes it easy and stylish to wear your heart on your sleeve. For in-store inquiries, use sku #1883580.